Ben Simmons’ success has benefited Australian basketball. Australia has produced a long list of notable basketball players, and the NBA is no stranger to Australian talent. Luc Longley, the first Australian to play in the NBA, won three titles with the Chicago Bulls alongside Michael Jordan. 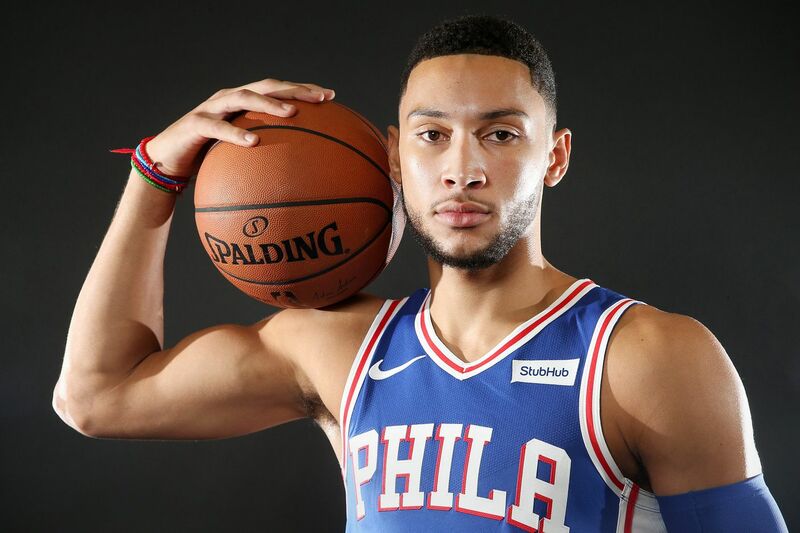 More recently, names that come to mind are Patty Mills, Joe Ingles, Matthew Dellavedova, Aron Baynes, Dante Exum, Andrew Bogut, and of course, the 76ers' own Ben Simmons and Jonah Bolden. "For Australian kids, a lot of them aspire to play football or do different things, but there's been a real shift over the last few years," Melbourne United coach Dean Vickerman said Wednesday after a team practice at Temple. "I guess since Bogut became the No. 1 pick, I'm sure people were wondering if that's a rare thing. Now it happens again with Ben and there's a strong belief in our player development in Australia and how we're going about raising athletes." The connections don't stop there. Sixers coach Brett Brown has a long and storied relationship with Australian basketball, having served on the Melbourne Tigers coaching staff from 1988-1993 as well as other Australian stops later on, including coaching the Australian national team. In 1989, Dave Simmons, Ben's father, joined the Melbourne Tigers. The next year, Vickerman joined. "I was fortunate enough to play with his dad back in the day, so there's been a connection there for a while," Vickerman said. "He's talked about that he's worked on his jump shot a lot and he adds that he's just unstoppable. We've got a 5-11 point guard. Maybe he can match [Simmons] with the speed, but then how do we deal with the post-up? There's so many advantages that Ben has at his size at point guard. I just look forward to seeing our boys compete against him." Melbourne United will play at the Wells Fargo Center on Friday against the Sixers in a preseason game. There are a number of paths international players can take to the NBA, whether that be through Australia's NBL, through European play, or in the college game. Vickerman looks at Friday's matchup as another chance for his players to show they are just as talented. "Every time these guys put on a uniform, they know people are watching them, but when you get on a world stage like this one, being able to do what they do well is really important," he said. "It's a stage for all of us. We all want to perform well and represent our league and country well." Last season, Vickerman's team played an intensely competitive preseason game against the Oklahoma City Thunder, and he's hoping his squad can weather the storm that's likely to come from the Sixers, who enter the preseason with a mostly healthy roster. D.J. Kennedy, a Pittsburgh native, went undrafted in 2011 after spending four years playing at St. John's. After bouncing around the G League and summer-league squads, Kennedy took his skills to the international level and earlier this month joined Melbourne United. "To be able to come home and play against an NBA team, and let your friends and family get an opportunity to see you at home, it's a great feeling for all of us, especially the imports who are from the U.S.," Kennedy said Wednesday. Despite the game's being close to home for Kennedy, and despite his expecting a lot of familiar faces in the crowd, he says he is focused on the task at hand. "We know what we're up against, the names you hear," he said. "That's an opportunity for us, to play against high-level players. Of course when you play against the best, you want to show your talent and show scouts what you're capable of doing, that you can compete against the best."